Athletic promise with a great character. 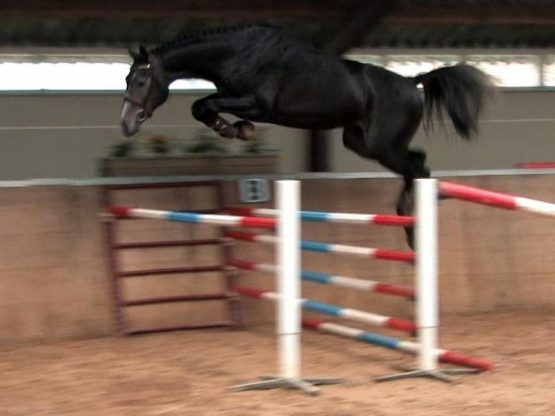 Extremely good jumper with a lot of scope, careful and brave out of the best bloodlines in the world. Sire Up to Date is a result of the most successful Holsteiner bloodlines. Up to Date is KWPN approved with a 9 score for jumping technique in combination with a natural balance and expressive canter. 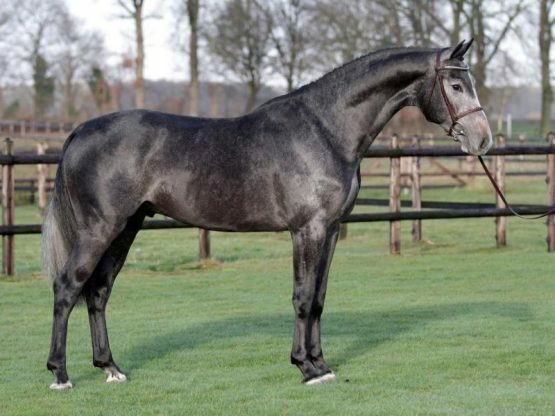 Dam sire Libero H needs no introduction. The Holsteiner stallion by Landgraf I is one of the most influential stallions of the last decade both in sport and in breeding. With Jos Lansink, Libero H won a very impressive series of World Cup competitions and Grand Prix, the highlight being the victory in the 1994 World Cup finals at ‘s-Hertogenbosch. His fighter’s mentality combined with his technique and incomparable reflexes made this stallion almost impossible to beat that season. In 1989, Libero H was also approved by the KWPN. 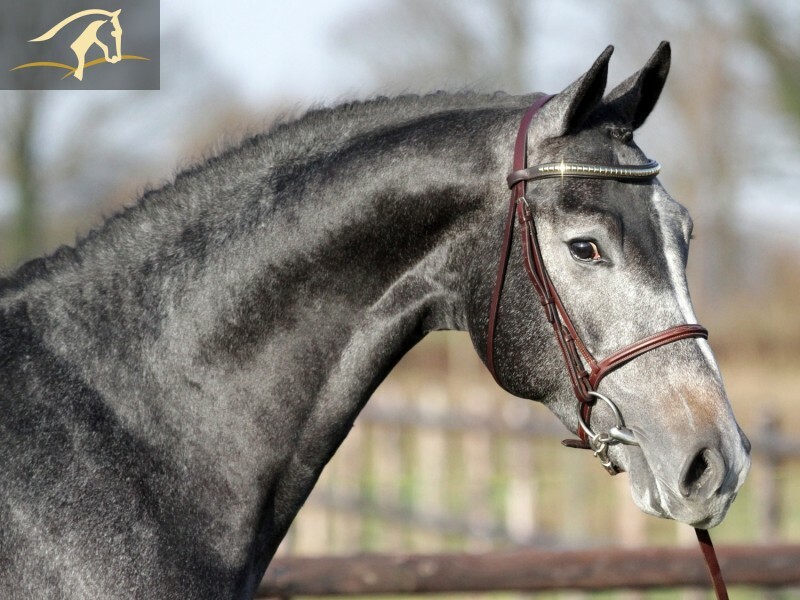 With less than 600 offspring the number of international showjumping horses by him is truly remarkable. From all his children competing in the sport over 25% is jumping at international levels. 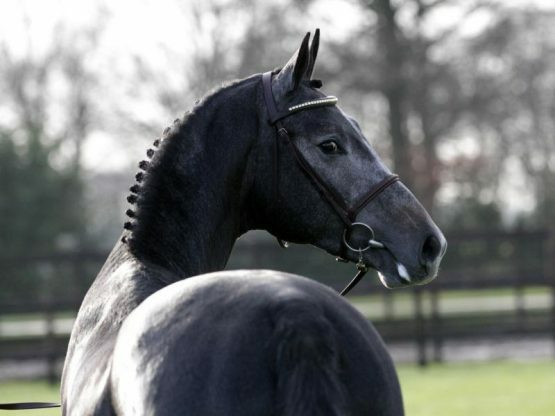 For this, Libero H was awarded the ‘PREFERENT’ predicate this year, the highest award a stallion can receive. 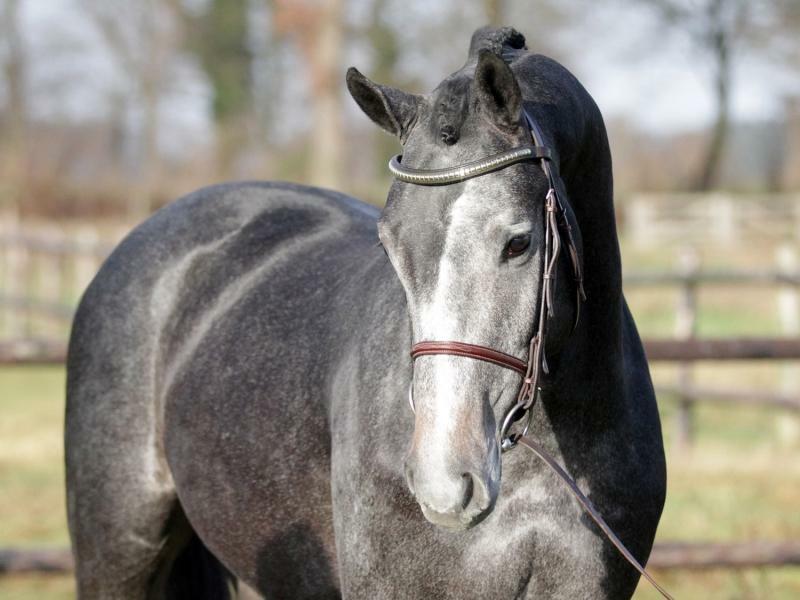 Factor is a special horse with allround talents that loves to work. He has a very sweet affectionate personality. No vices. Fully vetted.